Percussion instruments have become particularly important since the creation and advent of handpans and steel tongue drums in the late 1990s. Moreover, the development and invention of these new instruments allow to widen the possibilities which are offered to beginners, amateur or professional musicians. In recent years the catalog Djoliba Percussions & Lutherie is enriched by many instruments of this family that continues to grow. In this profusion, the Djoliba team is enthusiastic about the idea of ​​offering you the different models of steel tongue drums SWD by Italian craftsman Massimo Tirino. The steel tongue drum is a modern percussion instrument of the family of idophones (lamellaphones to be more precise). This metal musical instrument is close to the handpan. However, it differs in its manufacture, since the notes are produced by cutting strips of different sizes on its surface to generate notes tuned between them to create different ranges. The slats of the steel tongue drum can be hit with the fingers or with mallets. More and more used in sound therapies, as in the MusicLab of Djoliba in Toulouse, the acoustic properties of the steel tongue drum make it a perfect instrument for musical awakening, music therapy or to integrate it in many musical styles. Thanks to its resonance and very present harmonics, the steel tongue drum can be used both acoustically and with an amplification system. 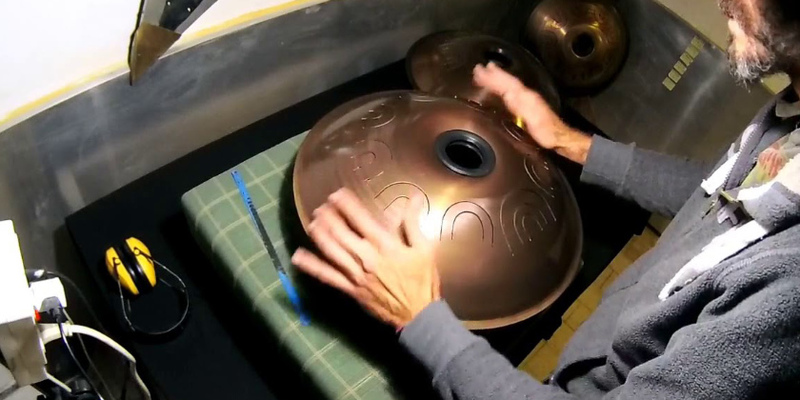 In this family of steel tongue drum, like the Zenko® of Metal Sounds, the SWD (Sound Watching Drum) is an interesting instrument designed in Naples (Italy) by the artisan Massimo Tirino. The steel tongue drum SWD is hammered and hand-tuned stainless steel. It has 9 notes and has a fairly wide diameter of 47cm (18 ") Despite its weight of 4.5kg, this instrument is very handy. Made from a high quality stainless steel sheet, the SWD is gradually formed and tuned to obtain an instrument with maximum resonance and accuracy of each note. Moreover, the cutting of the blades is made by laser and each face is hammered by hand, which allows a rather meticulous result.